*Today, let’s remember and honor those who gave a special part of themselves for so many people who will never really know exactly what those individuals, as soldiers, went through. My book “A Drill Sergeant’s Fame” helps to expound on the different facets of this theme. In particular, my poem Irony within A Combat Bunker tells a story contrasting two different viewpoints. One being from a civilian and the other being that of a soldier’s. This poem and journal note depicts how one i nstant can have two distinctly different thoughts and reactions and how a human being should stop and think before passing judgment. Now I ask considering that, what does Veteran’s Day mean to you? In my own opinion Veteran’s Day is not only a day of honoring military service men and women but that it is also a special time to try to peel back the layers and get to know those soldiers linked to your life. It’s a time to show them how you appreciate all they go through, or have gone through, on your behalf. 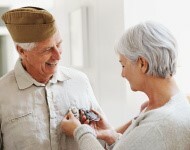 Veteran’s Day is simply a day to spend time with your Veteran. Let your soldier know you admire their life choice and that your appreciation goes far beyond mere words. Do something special for them. Something that speaks specifically to their individuality and makes that certain soldier feel extraordinarily loved. It is after all their day, isn’t it? So on this special day let’s not only remember our soldiers both past and present but let’s also put them first; their thoughts, their needs and most certainly, their wishes. I do not even understand how I finished up right here, but I assumed this submit was great. a well-known blogger in case you aren’t already 😉 Cheers! Moreover, The contents are masterwork. you have performed a wonderful job on this subject!